When a loved one dies, a life insurance policy can provide much-needed financial assistance for those left behind. Survivors often depend on the life insurance death benefit to support them in future years after they have lost a family member. When the insurance company denies coverage, it can compound the tragedy of the loss by pushing surviving family members into financial hardship. When a life insurance policyholder pays premiums to the insurance company, he or she reasonably believes that the insurance company will deliver on its promise to pay the death benefit when due. Sometimes, however, life insurance companies handle claims in an unfair or incorrect manner. They deny claims for unjust reasons. When that happens, a beneficiary has a right to file a lawsuit to challenge the denial. Many people, unfortunately, are not aware that the life insurance company's decision is not final and they can pursue a legal remedy in court. As a New Jersey and New York life insurance attorney, Eric Dinnocenzo has vast experience representing policyholders and beneficiaries against life insurance companies. In fact, he is one of a few lawyers who has developed a special interest in representing clients in life insurance cases. He has litigated life insurance denial cases in both New Jersey and New York federal and state courts against major national insurance companies and has obtained many successful results for his clients. He has also published articles about complex issues in the field of life insurance law and is active in associations that support the rights of insurance policyholders. Common reasons that life insurance companies refuse to pay a death benefit are because of alleged unpaid premiums and material misrepresentations made in the application. They also will deny claims that involve an insured committing suicide. Furthermore, when there is a dispute between multiple persons about who should receive the death benefit, life insurance companies will commonly commence an interpleader action in which they seek permission to deposit the life insurance proceeds with the court and be dismissed from the action so the claimants can litigate for the death benefit. Eric Dinnocenzo has experience handling these types of life insurance cases and others. He knows what it takes to bring a case against a life insurance company and win. In order to prevail against life insurance companies, an attorney must understand application and underwriting procedures, claims handling practices, the internal hierarchy of insurance companies, and the requirements for denial letters. 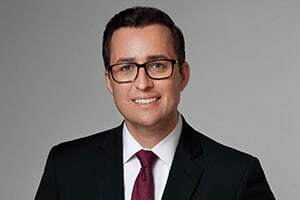 Through his experience in this area of law, Eric Dinnocenzo has developed an in-depth knowledge of these matters that has proven highly effective in overturning life insurance denials. If your life insurance claim has been denied, do not give up hope! Many denied claims can be overturned or settled for a fair value. You need an attorney on your side who understands the ins-and-outs of New York and New Jersey insurance law. Please contact New Jersey and New York life insurance attorney Eric Dinnocenzo at (212) 933-1675 for a free consultation to discuss if you have a claim.